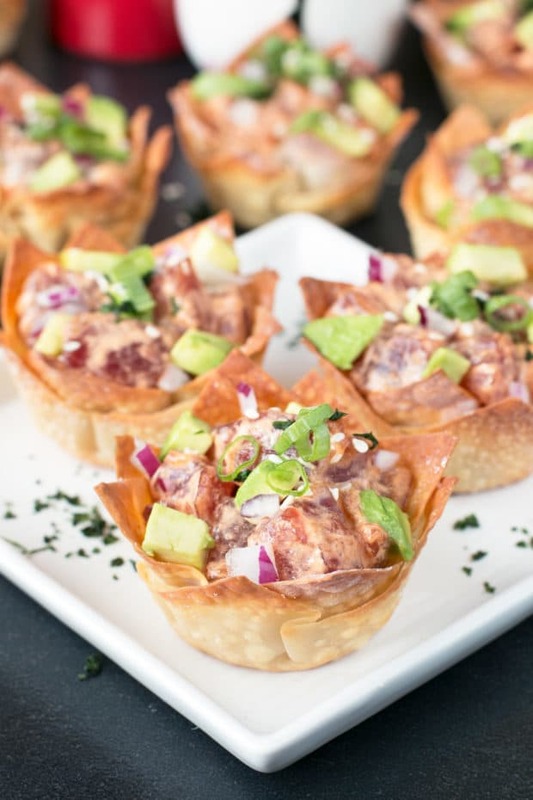 Spicy Tuna Poke Wonton Cups are how I take myself back to Hawaii through food. 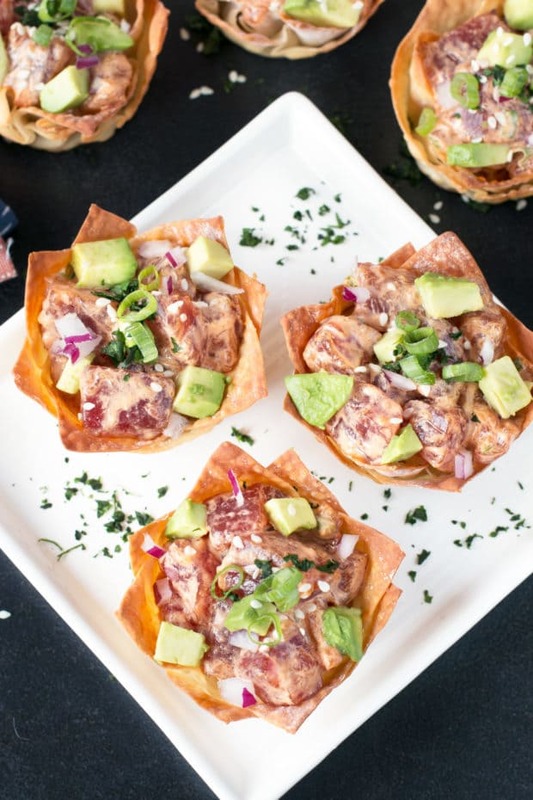 Each bite of the spicy, fresh, delicious fish in crispy golden wonton cups is an explosion of complex flavors that only take a few minutes to pull together. If you can’t fly to Hawaii, then take yourself there on a wave of these island flavors! If you have been watching any food trends around the world, you know that poke is soooooo in right now. Honestly, I don’t know why it hasn’t been “in” for a long time now. There is so much variety in poke, from the types of fish to the sauces to the toppings that you can choose to go with it. When I went to Hawaii for my 30th birthday (which seems like forever ago, even though it hasn’t even been a year yet), we went to this place on Kauai called Fish Express for some seriously life-changing poke. The poke was fresh, practically melted in your mouth, and was served up with so many toppings; it was like a freaking smorgasbord in your mouth. 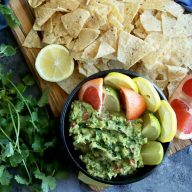 I think poke is a delicious meal to devour for lunch or dinner, but I really wanted to turn it into something small and handheld to make it more approachable for any end-of-summer parties you have in the works. It gets so murderously hot in August, you end up dying to reach for something refreshing and light to munch on anytime of day. For this recipe, the Ahi tuna is marinated in a simple mixture of soy sauce, scallions, jalapeno and sesame oil to enhance the already buttery rich fish. 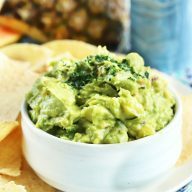 Then you stir in a simple Sriracha mayonnaise, avocado and red onion for an extra bite of brightness. 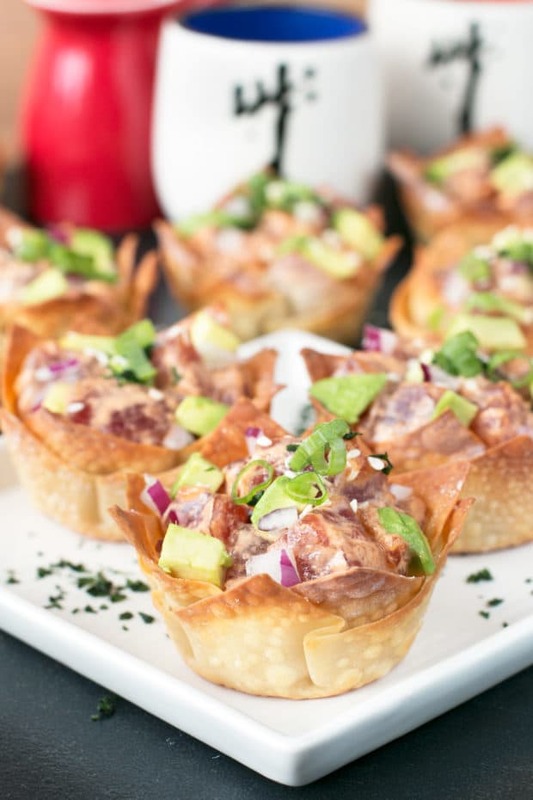 The result is a silky smooth, melt-in-your-mouth mixture of tuna that comes served in a crispy, golden wonton cup. 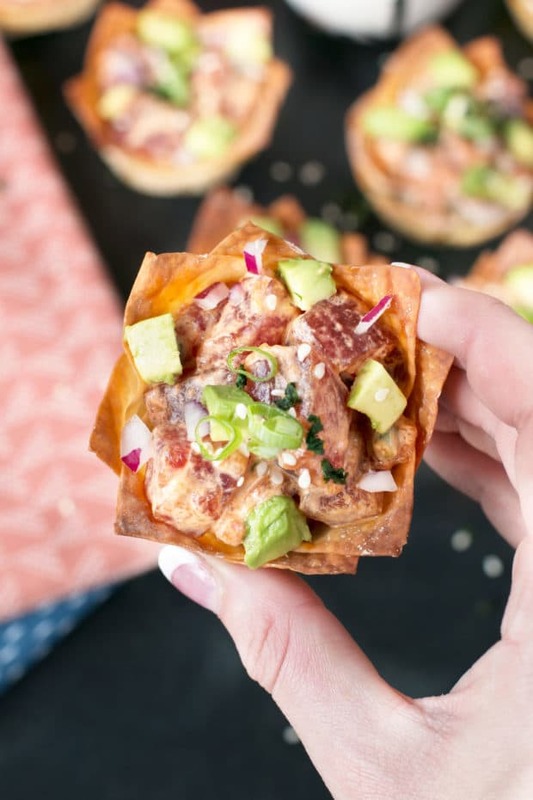 The crunch of the wonton perfectly pairs with the soft texture of the poke, without being too heavy. 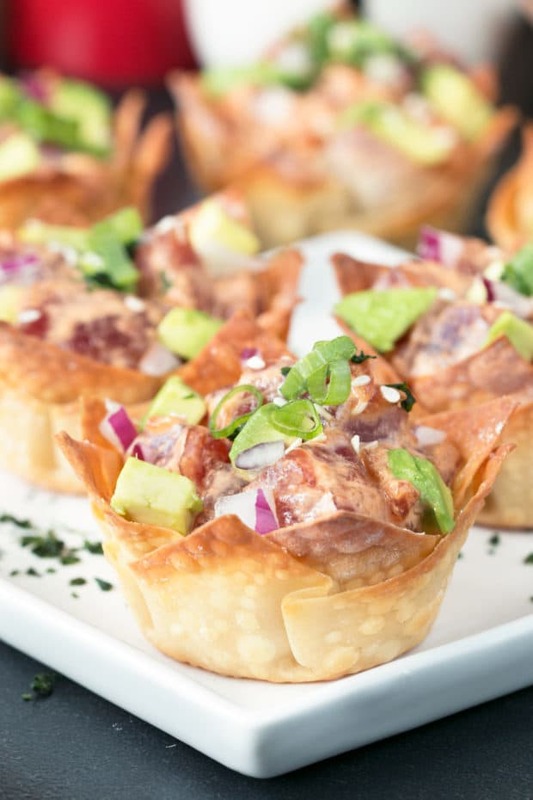 It’s just the right light and refreshing seafood appetizer! 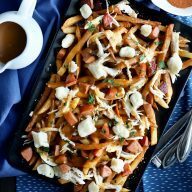 You can even pack a few of these up for lunch on the go. 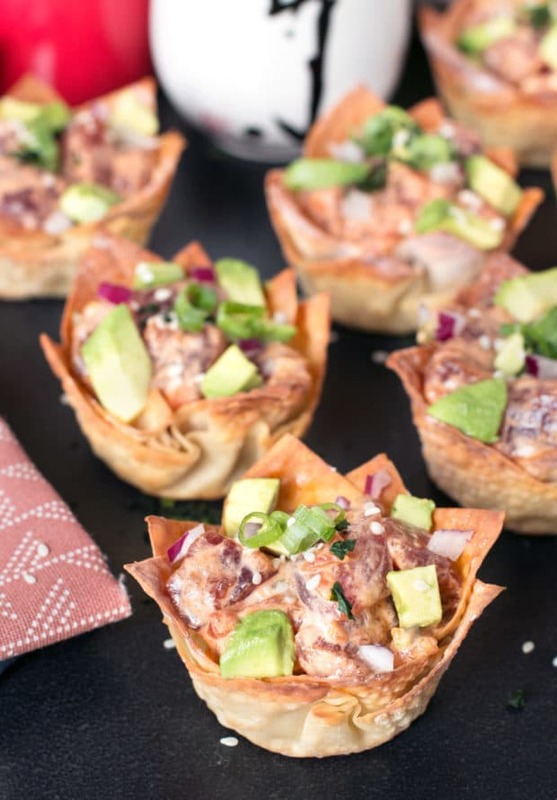 Pin this Spicy Tuna Poke and Avocado Wonton Cups recipe for later!